Unlike other books, he doesn’t make promises he can’t keep and ensures the goal fits you. He always wanted to be a writer, being a keen poet as a child and studying journalism at college. Despite this, he never wanted to work at a newspaper, put off the hard times they’ve come against, and the fact he doesn’t smoke. So Jon went into advertising instead. He had always liked marketing’s role in helping people and inspiring action. When it’s done well, it’s artistic and beautiful. During his time in advertising, he worked at ad agencies and for big brands, including The Home Depot, Bose, and Staples. That changed after he joined social media and started writing a blog. It wasn’t long before his blog earned him the opportunity to write a book. 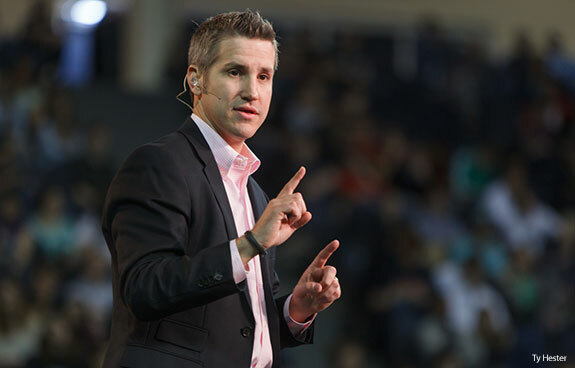 He changed his job and now earns a living writing, speaking and helping others. Find out how he’s done it and how he can motivate you to make positive changes for yourself and your business. Just like anyone in any industry, there are going to be areas which you like, and others you dislike. For Jon, the parts of advertising he doesn’t like are the flashiness of some of the people working in it, and how superficial the industry can be. He sees that there are areas of advertising where people are manipulated by using the fear the audience might have, or are being over promising. In addition to that, he also doesn’t like the narrative bias which is used to sell products. By saying ‘this happened to me, and it can also happen for you if you follow these simple steps’. The reality is that they’re selling you their products or services without knowing about you and what you’re capable of. As a result, it’s common for people to not achieve what they were promised. You can sell a bad singer all of the singing courses in the world, but they could still have a horrible singing voice by the end of it. They’re using a short term play to take people’s money, rather than using a long-term play which actually involves helping the customer. Because when you do the latter, not only will they be happy, they’re more likely to recommend you to their friends and to try the other things you do. For Jon, there isn’t much of a difference between being a writer and an author. However, he calls himself a writer first, before being a speaker. To be an author now, you have to also be an entrepreneur. Many other authors don’t like to admit it, but the reality is that you have to sell books. It’s the only way in which you’ll be able to write more and enjoy success. The books Jon writes are usually one’s which he has needed himself first. It is after realizing others need the books too, that he writes them. In Jon’s first book Quitter, he promises to close the gap between your day job and your dream job. Over a period of time, he put together a strategy for quitting his job. And as he experienced this, he knew this is something which other people would also be interested in doing themselves. There are many people out there who don’t like their job. This is the case for around 70% of Americans. The book is about his experience and suggesting to the reader ways in which they can do this for themselves as well. Since publishing it, he’s had many people tell him about their own experiences from reading his book. In his next book, he helps you to punch fear in the face, escape average and do the work that matters. It came about after wrestling with his own doubts about the things he wanted to try and wasn’t doing. As a non-fiction author, when Jon isn’t writing, he is listening to what questions and problems others are having. And also paying attention to what they’re excited about as well. By listening to the needs of the market, he figured out how he could help people. And this is where Start came from. Quitter was for a much more specific audience. After all, not everyone is trying figure out how to leave their job. This one is a much broader book, about motivation and will help with any sort of project that you’re hoping to achieve. Although, the audiences have crossed over too. His next book has the aim of rescuing Monday, reinventing your work and never getting stuck. This was about Jon’s transition from his dream job to becoming an entrepreneur. Luckily for him, this wasn’t as hard as it could have been thanks to building different investments over the years. However, that doesn’t mean it still wasn’t a challenge for him. Jon defines a ‘Do Over’ as a series of pivots and/or changes, whether that’s in your business, with yourself, or both. We should always be looking for ways to ourselves and to get out of our comfort zone from time-to-time. And that’s what this book helps you to do. Unlike many other writers, Jon has an extroverted personality, and that has been a part of his push towards creating communities with his products. Each one has its own private Facebook group. In it, he has found that people treat each other a lot better, and has people from all over the world sharing advice with others. For entrepreneurs, it hasn’t got to be you against the world. Believe it or not, you need people just as much as everyone else. In the first course, around 80% are building a business or trying to get in shape. But either way, they’re setting themselves goals. And a video every day for 30 days helps them to do this. It helps people to set themselves achievable goals, and therefore it works. Many people think of what it is to hustle differently. For Jon, it’s putting in the work on the things which are difficult so you can get around to focusing on the things you really want to be doing instead. It also involves a large amount of rest, and it makes for a welcomed break in world already full of busyness. This is an act of bravery, but it’s far better than burning yourself out. In the 30 day course, people are setting more general goals which they’re achieving. However, that isn’t enough time to achieve the bigger things in life, such as writing a novel, which is what the 90 Days of Business Hustle is designed for. Both are full of the things he has learned from working with those big brands in the past. They include the things he has done which have worked and the lessons he took from the things he didn’t do. It’s about how you felt as well as how well you did. Great goal setting will achieve both. There is no point performing really well if it will cause you to be unhappy. And likewise, there is no point feeling good if you failed. This is why everything Jon does has an effect on both business and yourself. Despite everything he has achieved himself and done well at, there are things he wishes he had done differently. And that’s something which everyone has when they look back with the benefit of hindsight. For Jon, these are not focusing on Facebook or building an email list. It’s unlike Twitter, where you get instant replies and you can see follower numbers increase. In fact, it’s more of a game full of achievements such as reaching a certain number of followers or being verified. Email lists also seem to be more complicated, especially when a tweet only takes a matter of seconds. And they can be full of knockdowns too. People can stop following you on Twitter and you’ll never know. But you know when someone unsubscribes from your email list. And it can also be fraught with the danger of being marked as spam, which can have a damaging effect. Despite all of that, it is one of the most important things you can do. Not starting an email list early is a common regret which people have. And in terms of Facebook, Jon has seen that he gets amazing responses from ads on Facebook, and in 2017, he’ll be doing them a lot more. 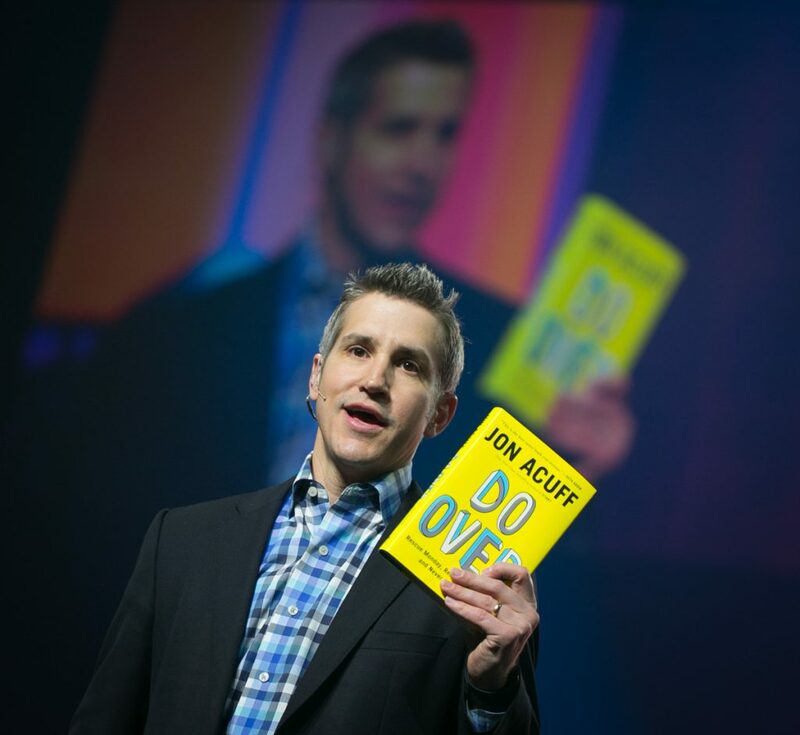 On Jon Acuff’s website, you can sign up for his email newsletters and in return he’ll also send you the first chapter of his book Do Over. You can also find out more information about all of his books, as well as pre-ordering Do Over to receive a special bonus, on his website too. 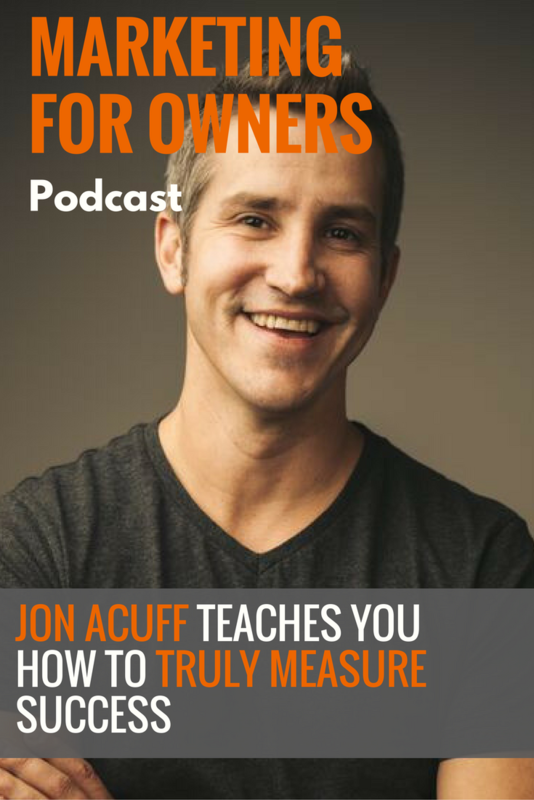 And you should also check out Jon’s courses, 30 Days of Hustle and 90 Days of Business Hustle, for a helping hand in achieving those things you’ve long wanted to do.